Arts, crafts, local and Welsh gifts, as well as British and from around the world. As well as having a friendly Coffee Shop and Cider Barn Restaurant, the site also has a variety of shops selling unique items, many associated with the Wye Valley area all housed in the old mill buildings overlooking our trout pond and the River Wye. 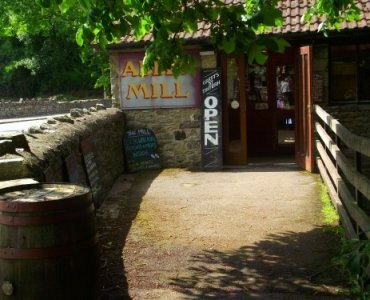 You can find out about light refreshments and restaurant meals available at Abbey Mill on the Where to Eat and Stay page. Abbey Mill, Tintern, Monmouthshire, NP16 6SE.